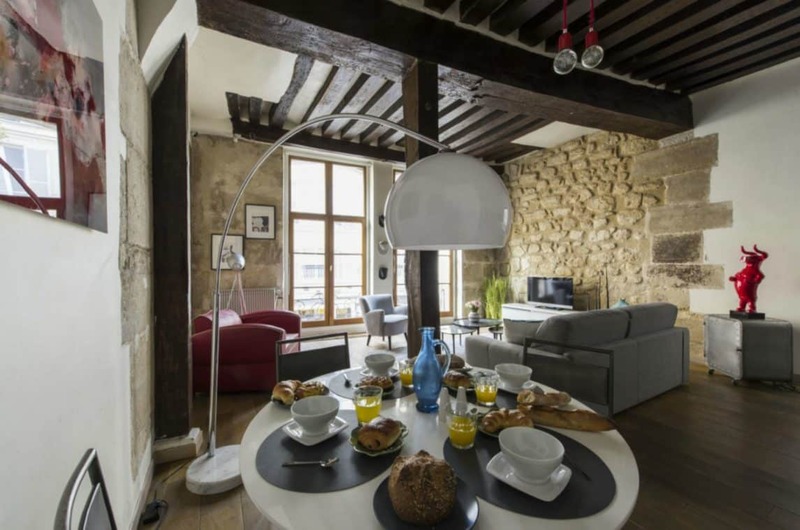 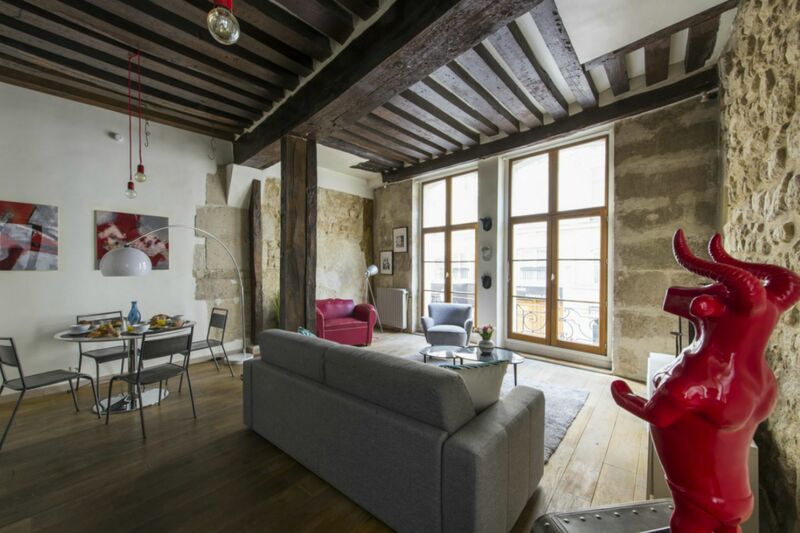 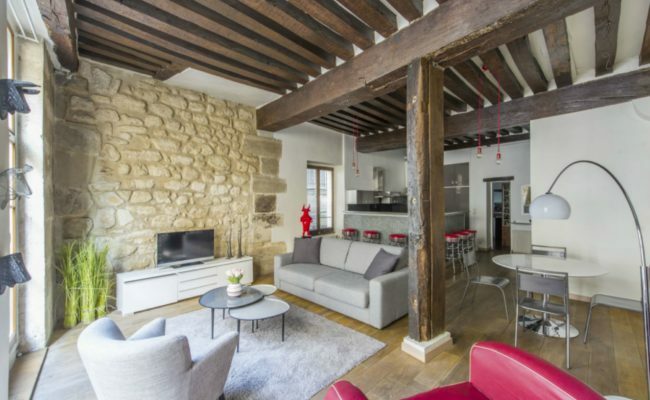 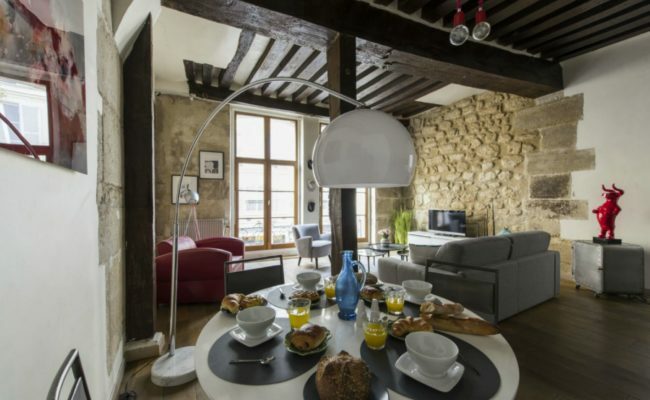 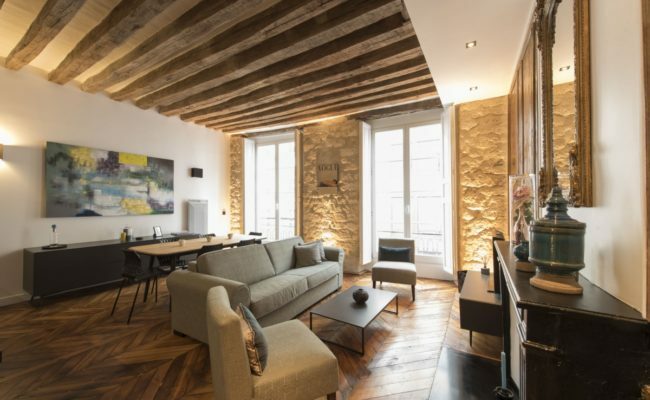 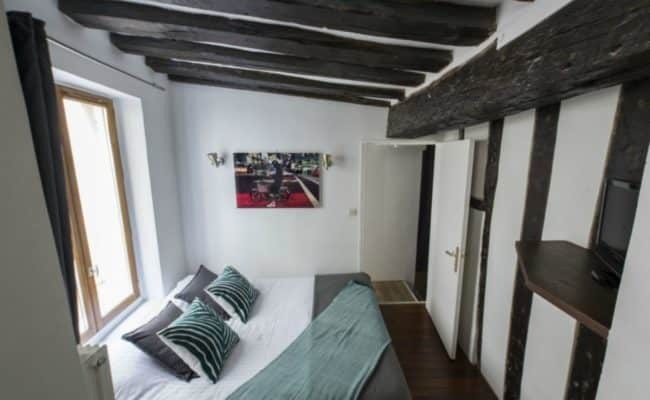 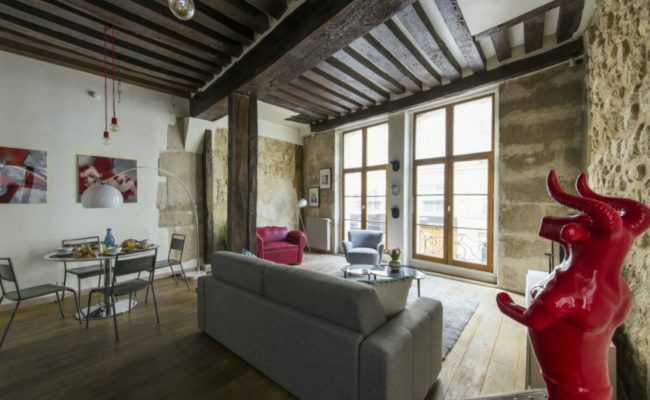 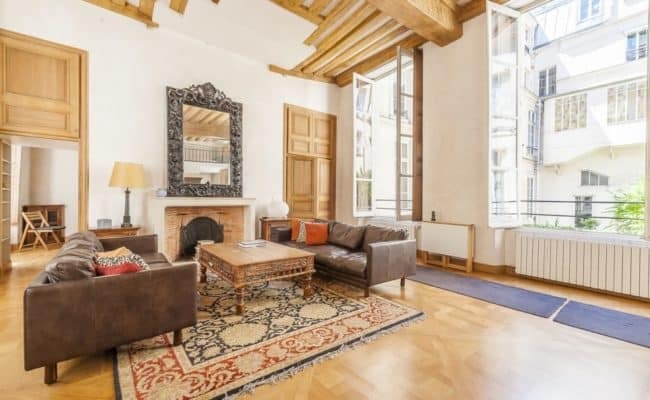 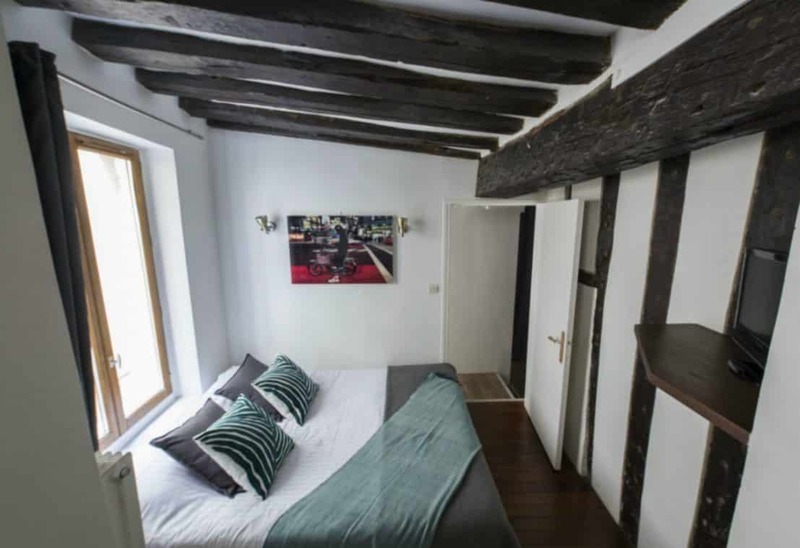 Two bed, two bath: Charming property with massive stone walls and original beams, located near Hotel de Ville and the Seine river in the most central part of historic Paris. 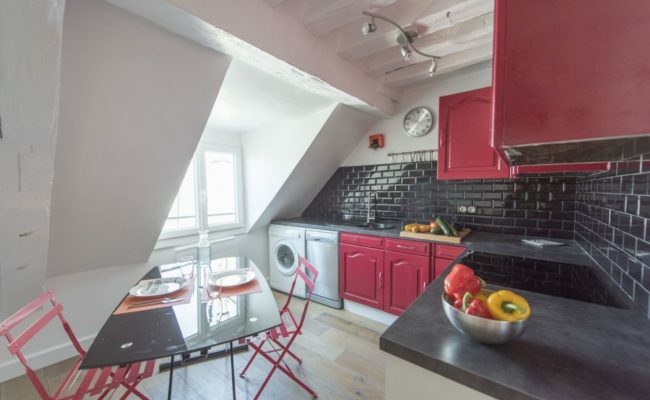 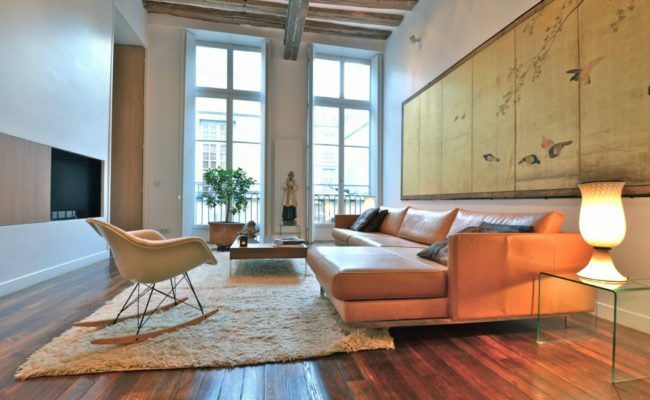 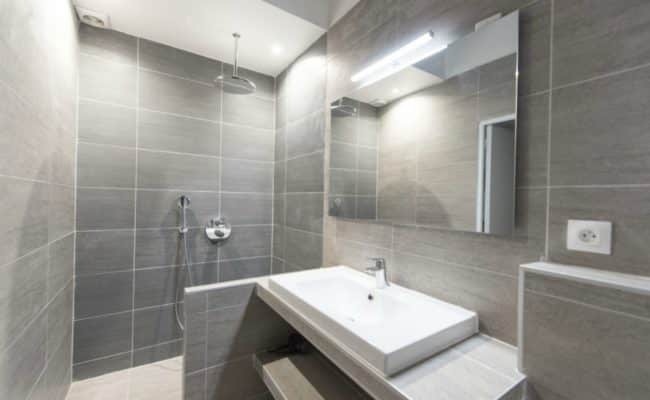 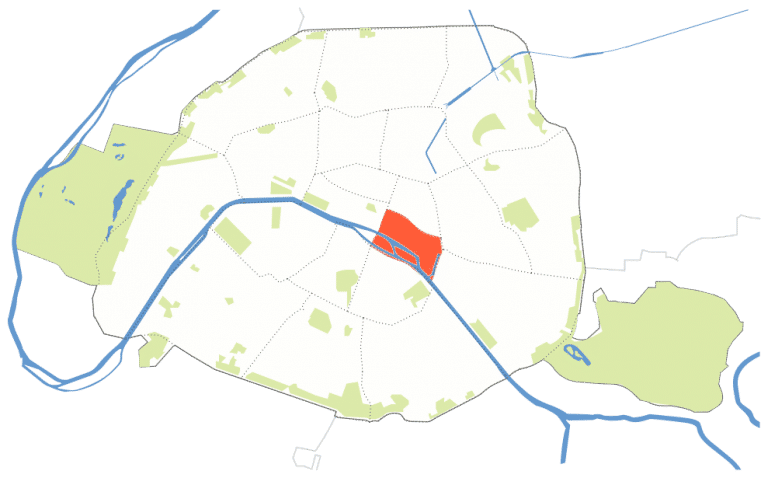 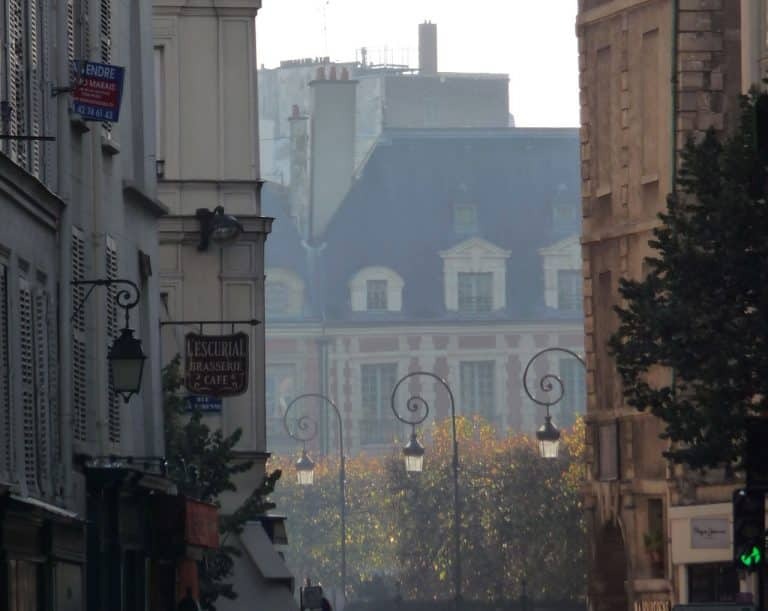 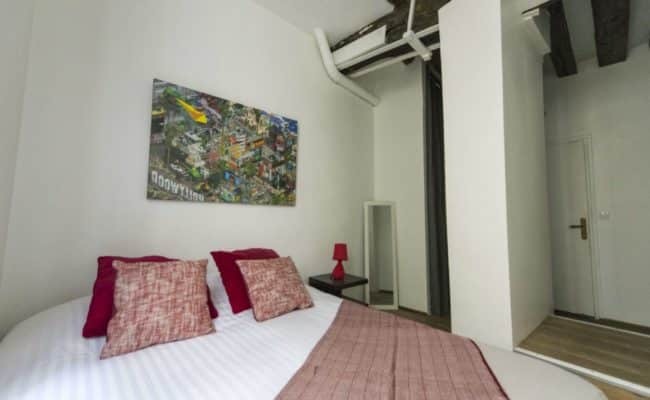 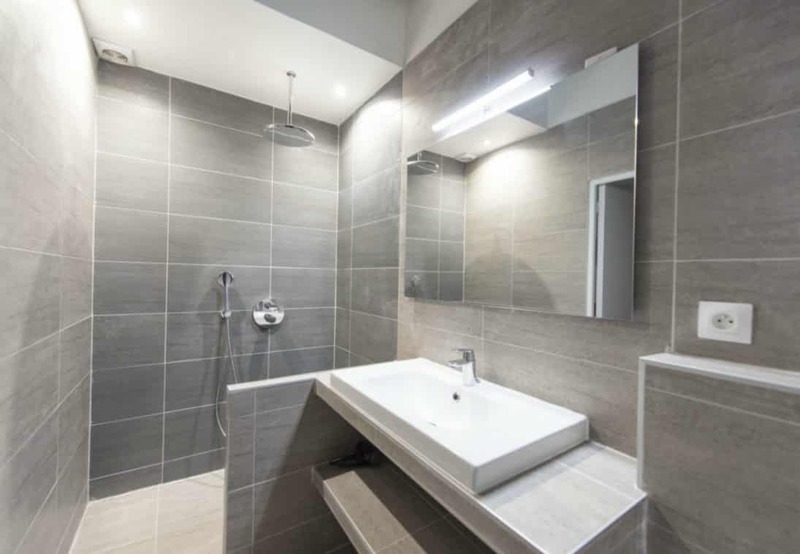 This two bedroom, two bath Marais property, is located on the first floor (with elevator) a stones throw from the Hotel de Ville and river Seine. 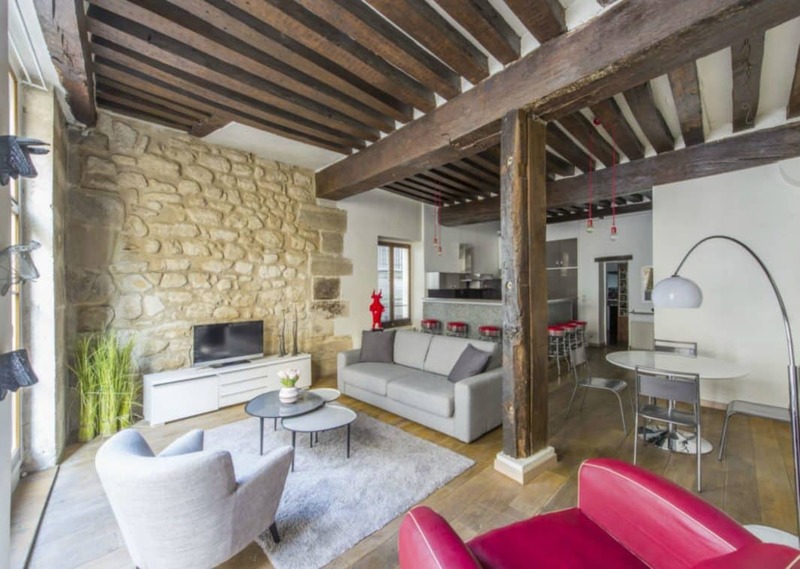 A generous 81 m2 (83 m2 living area) is comprised of a large living room with massive beams and original stone wall. 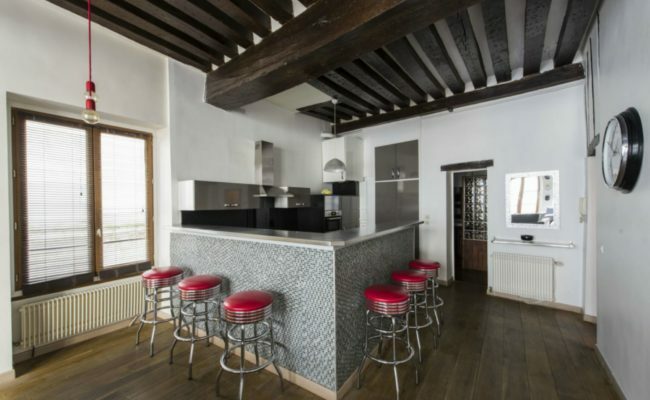 Very high ceilings and a modern, open kitchen enlarge the space visually and make it perfect for entertaining friends and family. 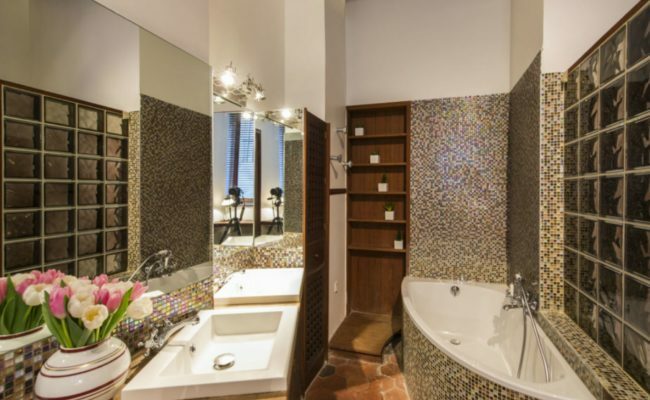 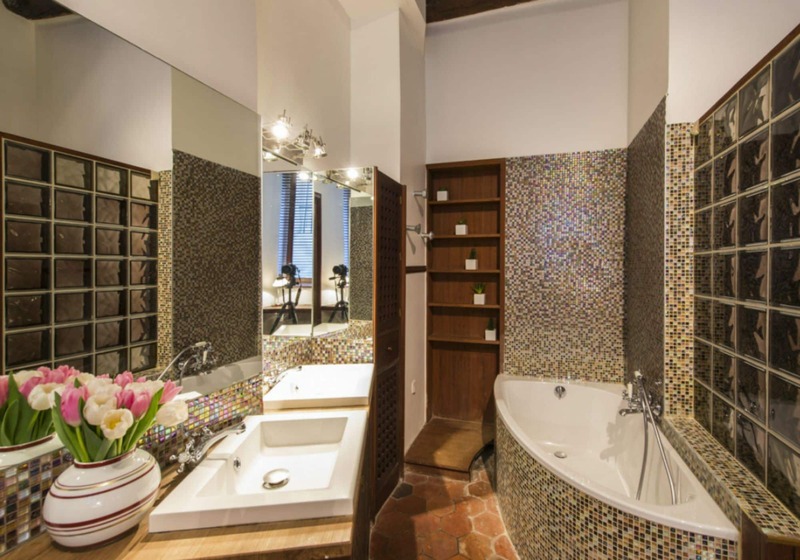 The master suite has its own bathroom, and the second bedroom also has an ensuite bath. 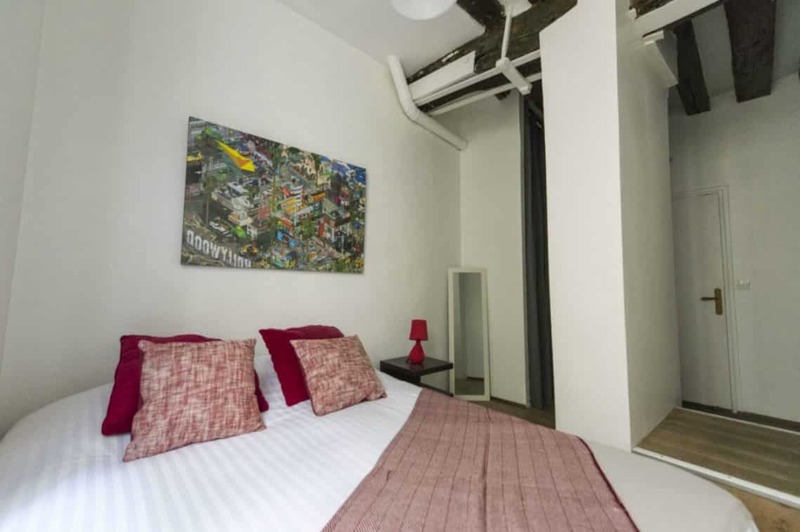 The second bedroom can be accessed through the apartment or via a separate entrance.